All students in the School of Architecture are provided individual workspace on the third floor of the Foundation Building. 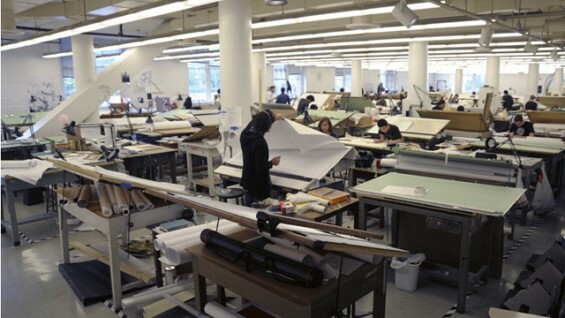 The first through fourth years share a single 8,000 square foot open studio; the fifth-year thesis class and Master of Architecture II students share smaller studio spaces adjacent to the “Big Studio”. In this way, a unique environment of open dialog and interaction between individual students, classes and faculty is fostered. 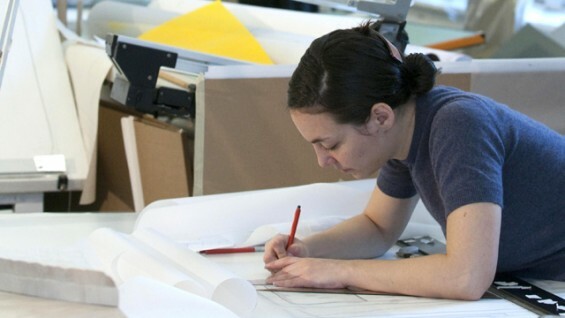 School of Architecture students have individual studio workspace with a full-size table for drawing, drafting and laptop computing, as well as individual or shared worktables for reference, model building, etc. The spirit of the design studio informs and permeates the entire school, and students value its intensity. Wireless access to the Internet is available in all studios. The school does not support the principle or practice of continual 24-hour studio access. Studios are generally open Monday–Thursday 7:30 am–2 am, Friday 7:30–midnight, Saturday 8 am–midnight and Sunday from noon–2 am. Extended studio access may be available during the last two weeks of the semester. All studios have access to a locker on the third or seventh floors of the Foundation Building. A small auditorium on the third floor is used for lecture classes and invited lecturers. Special lectures are open to all interested Cooper Union students, faculty and staff. Public lectures hosted by the School of Architecture are also hosted in The Great Hall. A faculty actively engaged in practice has brought both the realities and the potentialities of the digitization of architectural production into the studio. The School of Architecture has invested heavily in a computing facility on the seventh floor of the Foundation Building. It is specifically intended to support a design curriculum that recognizes the use of computing as an instrument of both theory and practice and which urges students to explore its formal and cultural implications. 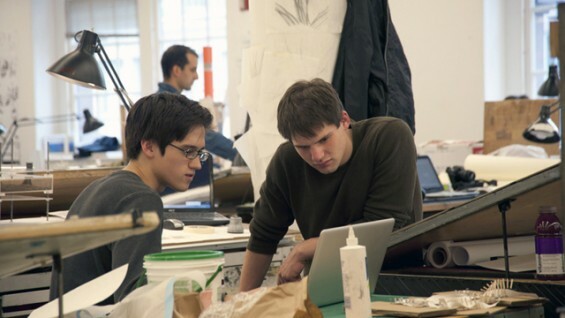 Students use the School of Architecture Computer Studio as integral to, not in lieu of, the Design Studios on the third floor. This computing facility is open an average of 17 hours a day and is staffed with “student monitors”, trained to assist in the effective use of the facility and to troubleshoot hardware and manage output. The Cooper Union Computer Center coordinates and administers information technologies throughout the college. A CUCC network engineer works directly with the School of Architecture to plan for the continuing evolution of the School of Architecture Computer Studio in support of our design curriculum. The studio presently houses 16 Dell computers and 12 dual-platform, wide screen i-Macs. In addition, wireless access is available for laptop connection to the institution network, which allows for software use, access to the Samba server, library services, internet, etc. The CUCC seeks to maintain all workstations on an approximately 3 year replacement cycle. A Linux environment Samba file server with 1TB storage capacity (mirrored for additional security) for each student gives students access to secure data storage and facilitates file sharing. The studio out-put capacity currently includes a high speed color printer, high speed black-and-white printer and two large format plotters: an HP 42 inch Design Jet color plotter, and a new HP 42 inch Design Jet 4500PS. Three dimensional work is supported by an 18 x 32 ULS laser cutter and a ZPrint 310 Plus 3D Printer and Powder Recycling Station. 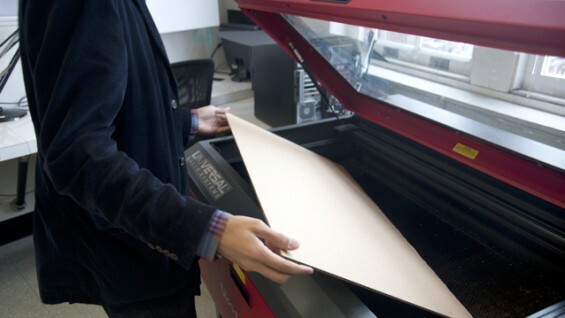 Two additional large format plotters are located in The Cooper Union Computer Center at 41 Cooper Square, and are used by students of the School of Architecture throughout the year. An Epilog 36 EXT computer controlled laser cutter administered by the School of Art is located adjacent to the Shop on the forth floor of the Foundation Building. Rapid prototyping equipment serving programs in the School of Engineering may be available for special projects with permission of the specific department. 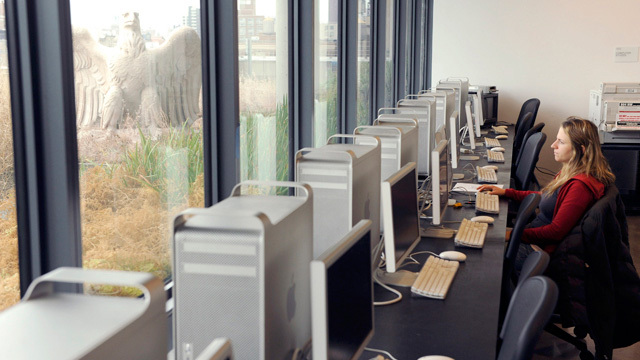 All software used by the students is upgraded as necessary to the latest version on a continual basis, in coordination with the Cooper Union Computer Center. Software now includes the full 2012 Autodesk suite, including AutoCad, Maya, Revit and 3dS Max; ArchiCAD; Rhinoceros Nurbs Modeling, Bentley and Catia; SketchUp Professional; ArcGIS; MATLAB and SolidWorks; Adobe Premium 5.5 Suite, including Photoshop, InDesign and Illustrator. 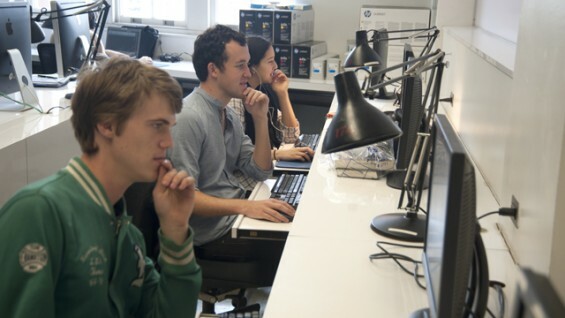 The School of Architecture Computer Studio is open to all architecture students and is equipped with all of the hardware and software necessary for their work and study. We recommend that students who wish to purchase their own laptop computers complete their first year of study before making a purchase in order to fully test a variety of programs and platforms. Email is an essential form of communication at The Cooper Union. Each new student is assigned a Cooper Union email address during Orientation. It is the responsibility of all students to actively and regularly check and use their Cooper Union email in order to receive, in a timely manner, official school announcements, important information about registration, messages of general interest about events, exhibitions and programs, safety updates, policy notifications, etc. As The Cooper Union continues its transition to an online administrative system, linked solely to The Cooper Union email address, this line of communication becomes even more vital. In addition, wireless internet access is available throughout The Cooper Union and can only be accessed via a Cooper Union email address and password. Two computing classrooms at 41 Cooper Square are available for scheduling by the School of Architecture. One classroom is set up as a PC facility, and is equipped with all software native to a PC platform; the second classroom is set up as a MacIntosh facility, and is equipped with Adobe and Apple software. Having access to these two classrooms allows the School of Architecture to develop its own facility more effectively for studio use, rather than as a facility that must also serve as a demonstration classroom. When not being used as classrooms, these facilities serve as drop-in studios for use by any student. The CUCC at 41 Cooper Square maintains 40-45 PC workstations configured with software similar to that in the School of Architecture computer studio, as well as two high-speed large format plotters.